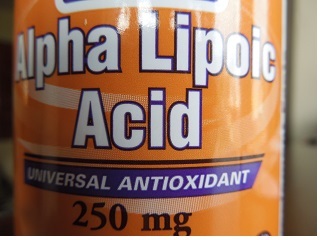 Alpha lipoic acid is a powerful antioxidant produced by every cell in the body. Some of the most important alpha lipoic acid benefits are directly related to its antioxidant activity and its ability to restore and maintain glutathione levels. For this reason alpha lipoic acid is considered a cofactor of glutathione production. It is scientifically proven to increase cellular glutathione levels, most likely by stimulating the enzyme gamma-glutamylcysteine ligase (GCL) involved in the synthesis of glutathione, and by increasing the cellular uptake of amino acid cysteine, the limiting factor of glutathione production. This antioxidant is also vital in the cycle of returning glutathione from its oxidized form back to its reduced (active) form, thus increasing glutathione levels by recycling it. As both water and fat soluble antioxidant alpha lipoic acid can scavenge reactive oxygen and nitrogen species throughout the whole body. It recycles other antioxidants, such as glutathione cofactors vitamin C and vitamin E, and also co-enzyme Q10, from their oxidized state back to their reduced (active) state, thus increasing manifold the body’s antioxidant capacity and relieving glutathione somewhat from its antioxidant recycling function and redirecting it to other important tasks. Alpha lipoic acid is recycled itself by glutathione, vitamin C and vitamin E as all these molecules work together synergistically. Alpha lipoic acid binds with excess copper, iron, lead and cadmium preventing these metals’ accumulation and the resulting oxidative damage, thus reducing the work load of glutathione in heavy metal removal. It also binds tightly with mercury, even in the brain and the nervous system, thus neutralizing this metal's toxicity and assisting glutathione in this task. Important note: if you suffer from significant heavy metal toxicity, do not take alpha-lipoic acid without consulting a doctor who is knowledgeable about heavy metal detoxification and under whose expert supervision you should detoxify. The above alpha lipoic acid benefits have been observed both in cell culture, animal studies and, most importantly, human trials. The number of human trials has increased over the past decade with the growing interest in this antioxidant. Researchers believe that the body produces all the alpha lipoic acid it needs since deficiencies have not yet been documented, however, the production levels are suspected to drop with age. Alpha lipoic acid is also depleted at times of heightened stress and elevated exposure to toxic substances and free radicals. Small amounts of alpha lipoic acid are found in foods: red meat, organ meats (especially liver), broccoli, spinach, potatoes, brewer’s yeast, and to a smaller degree - tomatoes, peas and Brussels sprouts. The amounts of this antioxidant in foods is so low though that even the sources with the highest concentration are a thousand times lower than the amounts used orally or intravenously in the studies which proved alpha lipoic acid benefits for various health conditions. 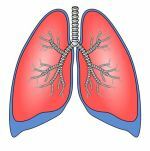 To support glutathione synthesis and help maintain glutathione levels supplementation may be needed. The most common dosage is 100-250 mg a day. Much higher doses were used in human trials with peripheral neuropathy patients: 600 - 1,200 mg a day in divided doses. According to the results of these studies the pain sensations reduced significantly at these higher doses. Alpha lipoic acid is considered to be a supplement without adverse effects at moderate doses. However, at very high doses above 1,200 mg a day the toxic effects have been recorded in some trial participants: rash, nausea, vomiting, abdominal pain and vertigo. Always consult your physician before taking any supplements. Oral treatment with alpha-lipoic acid improves symptomatic diabetic polyneuropathy: the SYDNEY 2 trial. Ziegler D, Ametov A. Diabetes Care. 2006 Nov;29(11):2365-70. Alpha-lipoic acid and diabetic neuropathy. Vallianou N, Evangelopoulos A. Rev Diabet Stud. 2009 Dec;6(4):230-6. University of Maryland Medical Center. Alpha Lipoic Acid Benefits. Linus Pauling Institute. Lipoic Acid Summary.